Vance Country Ford is a full-service auto repair shop that has been serving the Guthrie, OK area for years with high-quality work that gets done on time and correctly the first time. We have some of the most advanced diagnostic tools, equipment and computer software that you can find in the automotive industry. We employ certified mechanics who attend ongoing training to keep up to date with new technological advancements with both cars and trucks. Our mechanics can handle just about any issue with your automobile. We can fix any make and model vehicle and have continued to set the standard for mechanics locally here in Guthrie. Do you need helping finding something or have a question you would like answered? Vance Country Ford would love to help you out in any way that we can. We listen to what you need and do our best to accommodate those needs quickly. You can use the form below to email us directly, or call the service department directly that you’re looking for. 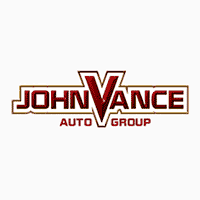 As always, the entire team at Vance Country Ford is here to serve all of your needs and have you walk away with a smile. Do Not Trust Your Car Repairs to Just Anyone. We know that your vehicle is an important piece to your daily life. It gets you to work, the kids to school or the bus stop, soccer practice, karate and weekend trips with friends and family. When your car or truck is not running the way it should, it can be a disruption to your daily routine. Sometimes we don’t understand how important our automobile is until we don’t have it. Our certified mechanics can take care of your routine maintenance to avoid potentially larger problems for you and your vehicle in the future. If you are already experiencing a problem, don’t trust your car repairs to just any shop in town. We have a proven record of superior work, friendly service staff and competitive prices to ensure you will become a customer for life.